Kira and Chad have to be one of the most photogenic couples that I have had the pleasure to work with! Every picture from the evening looks like it is straight from a magazine! The day started out bright and early with hair and makeup. The bridesmaids traded off getting their hair done at the Elysian salon and returning to their suite to get their makeup done by the fabulous April Toofan, while Kira was prepped at the salon. Kira and Chad’s “special moment” was absolutely breathtaking against the striking background of the Elysian Hotel lobby. While Elena Bazani of Colin Lyons Photography snapped away, videographer Jaime Rozen of J&R Video Productions filmed their first look for posterity. After Chad and Kira’s pictures, the bridal party departed for pictures outside. 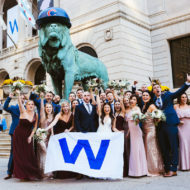 What a beautiful wedding party! 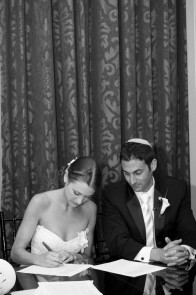 Before long it was time for the Ketubah signing–the official point of marriage for the couple. 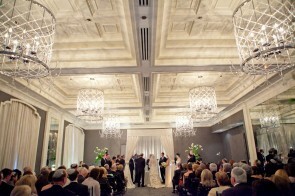 The ceremony under the chuppah, which took place in the Sinclair Ballroom, followed. 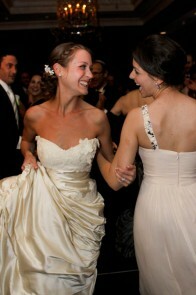 It was breathtaking and felt very intimate, dressed up with stunning florals by ArtQuest. After the ceremony, Chad and Kira went off for Yichud while the rest of the guests were ushered into the Hemingway Salon for cocktail hour. 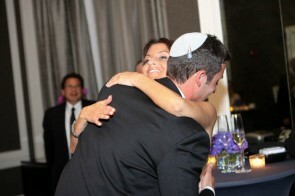 Their kosher food was spectacular, catered by Shallots Bistro, and Joelle was a delight to work with. 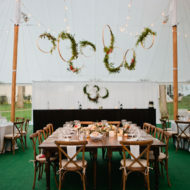 During cocktail hour, Five Grain Events assisted the Elysian staff in flipping the ballroom for dinner. 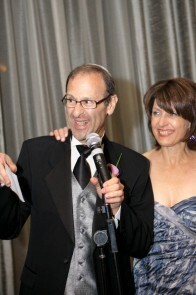 The chuppah was taken down, the tables were set, and the band began the setup. 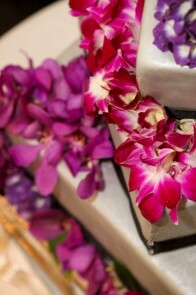 Once this process was complete, guests returned to the ballroom for dinner and were able to view the stunning cake made and decorated by Shallots. After dinner, guests headed back to the Hemingway Salon for toasts. This was one of my favorite parts of the evening. 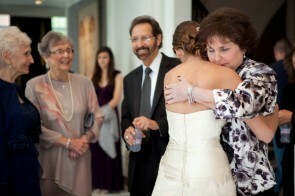 The love and support of the family was truly felt and it was quite touching. One of Kira’s friends who lived in Italy and wasn’t able to make it to the wedding surprised her with heartwarming and hilarious video, which was a hit with all of the guests. Meanwhile, the ballroom was flipped once again, preparing it for dancing. There was lots of back and forth movement for Five Grain Events, making sure everything was set up for the toasts and that ballroom setup was going smoothly! Finally it was time for dancing to begin and Late Nite Band kicked it off in style. 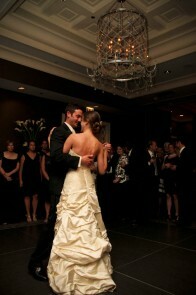 Kira and Chad shared their first dance, and then the guests danced, laughed, and partied until midnight. You can watch the J&R Video Productions video recap here! Kira and Chad were truly a delight to work with, as were their family and friends. It was a very memorable evening and I will cherish it always. Best of luck to you both!